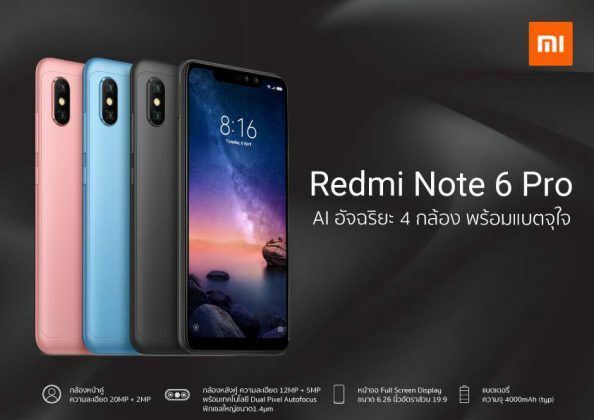 The Xiaomi Redmi Note 6 Pro is the successor to the Redmi Note 5 Pro. The smartphone comes with a 6.26-inch display. 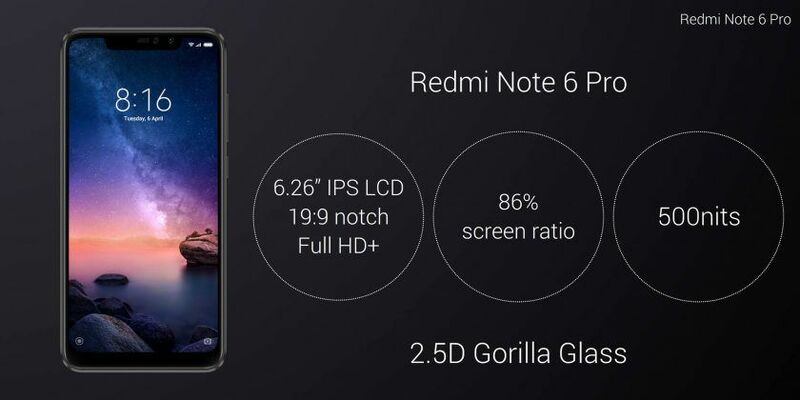 The display has Full HD+ resolution, Gorilla Glass protection, and bezel-less design with a notch. 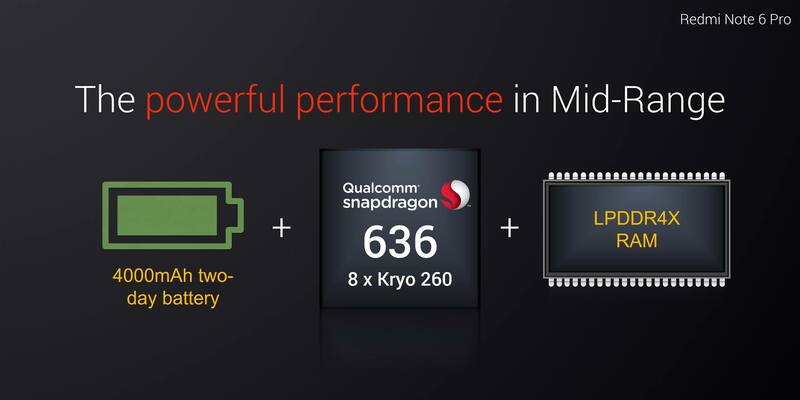 The device has a Qualcomm Snapdragon 636 processor. 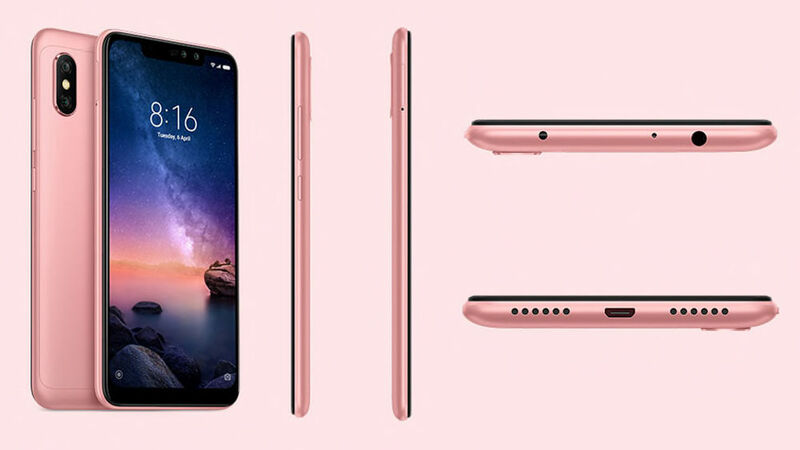 The Redmi Note 6 Pro comes in two RAM variants. The base variant has 4GB of RAM, while the other variant has 6GB of RAM. Both of them have 64GB of storage. 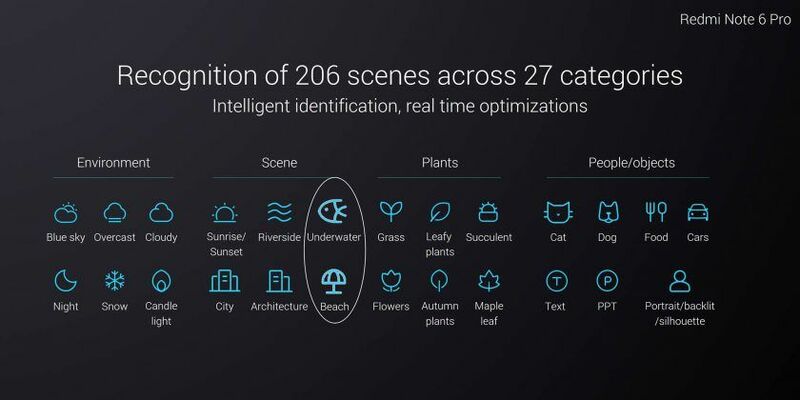 The device runs on Android 8.1 Oreo and the OS is customized with MIUI 10. 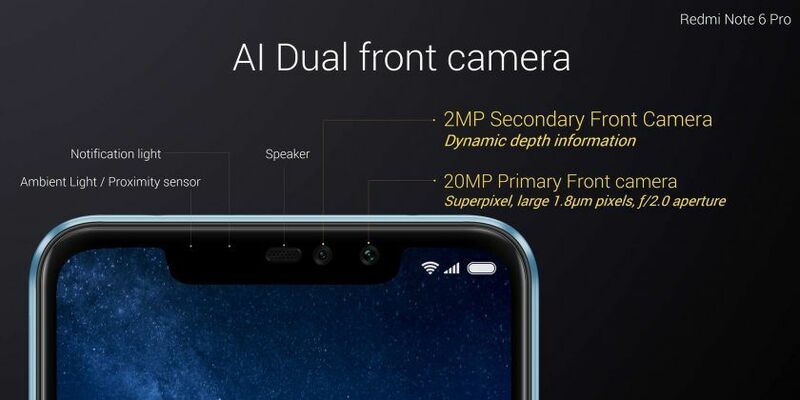 The smartphone has a dual-camera setup at the front, as well as, at the rear. The front dual-camera setup has a 20-megapixel and a 2-megapixel sensor, while the rear setup has 12-megapixel and a 5-megapixel sensor. The Redmi Note 6 Pro is powered by a 4000mAh battery, and it has Quick Charge 3.0 fast charging. Pros: The notched IPS display on the Redmi Note 6 Pro certainly makes it feel like a modern handset. It offers a reasonably sturdy build as well. The phone's cameras are excellent for the price, and its battery life is also quite competent. MIUI on this phone is feature-packed. Cons: The Redmi Note 6 Pro is barely an upgrade over the Redmi Note 5 Pro in terms of its design. The notch over the display is too wide. Furthermore, the phone doesn't ship with a fast charger. 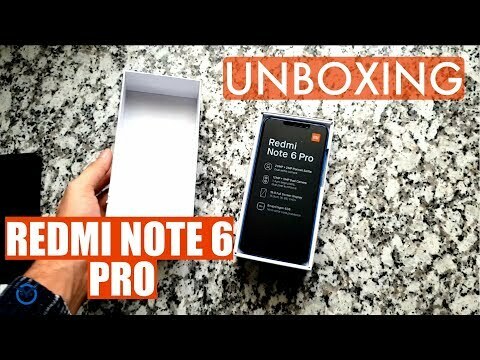 Summary: The Remi Note 6 Pro is quite a reasonable offering in the budget category. Xiaomi has certainly made improvements on this phone compared to its predecessor, making it a worthwhile upgrade. However, the Note 6 Pro faces considerably intense competition now. A great alternative would be the Asus Zenfone Max Pro M2 with its premium glass sandwich design, a smaller screen notch, and a 5,000 mAh battery. 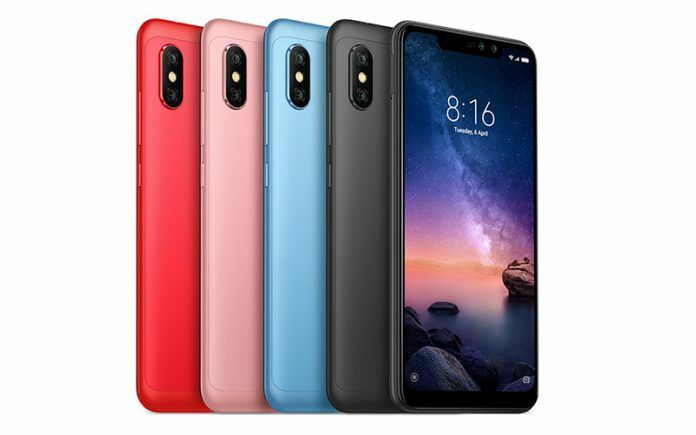 The Xiaomi Redmi Note 6 Pro price in India is Rs 10,999 for the 4GB + 64GB internal storage variant. The phone is available in 7 variants: Black, Blue, Red, Gold, Pink, Rose Gold, . The phone was launched in India on 22 November 2018. The Redmi Note 6 Pro is not a big upgrade over the Redmi Note 5 Pro. It brings only two significant improvements – a larger display along with the notch, and a dual-camera setup at the front. The display is 6.26-inches as opposed to 5.99-inches on the Redmi Note 5 Pro. The notched bezel-less design increases the screen-to-body ratio from 77.4% on its predecessor to a respectable 81.4%. The IPS LCD technology and Gorilla Glass protection over it remains unchanged. While the Redmi Note 5 Pro already had a great 20MP camera at the front, there is now a 2MP depth-sensor in addition to it to improve the portrait mode. Although the dual-camera at the front comes at the cost of LED flash (the Redmi Note 5 Pro has it); hence, the lowlight images won’t be as good now. The Redmi Note 6 Pro offers 12MP+5MP dual-camera setup at the rear, just like its predecessor. 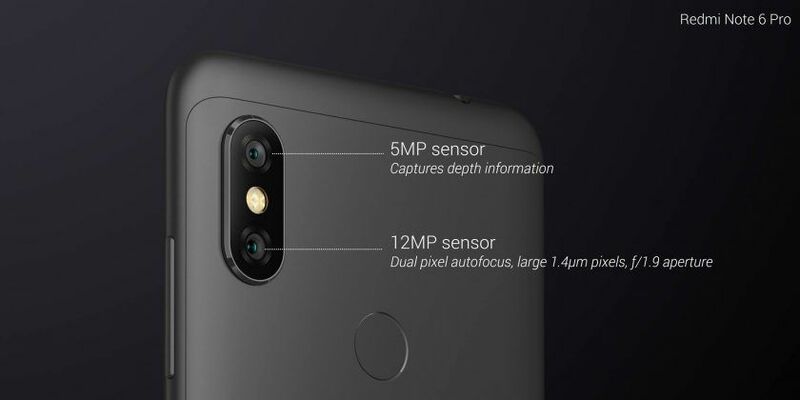 However, it now uses a newer 12MP sensor, which has a f/1.9 aperture as opposed to f/2.2 on the Redmi Note 5 Pro. This should improve the camera’s lowlight image quality. 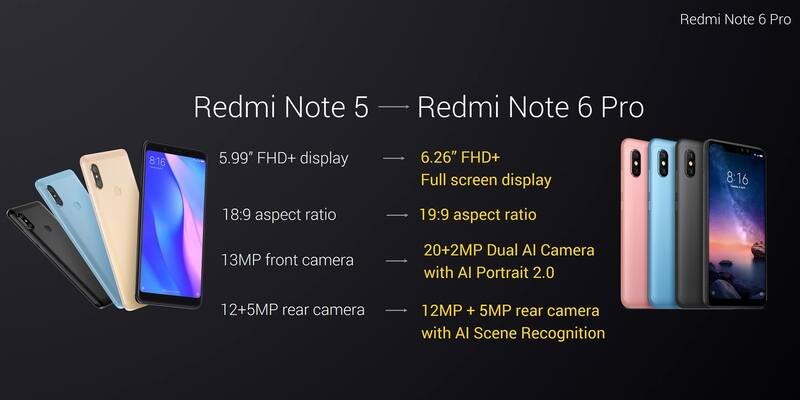 The Redmi Note 5 Pro did not offer 4K video recording, while its cheaper siblings had it, and the same continues with the Redmi Note 6 Pro. The device does not offer 4K video recording when all of its competitors have it. The lack of this is going to be a deal-breaker for some. The smartphone still uses the Snapdragon 636 SoC albeit everyone’s expectation of it packing a faster, Snapdragon 660 chipset. In Thailand, the smartphone is available in only 4GB RAM and 64GB storage variant. However, in India, the device comes in 6GB+64GB option alongside the 4GB+64GB model. The device comes with Android 8.1 Oreo topped with MIUI 10. Powering the smartphone is the same 4000mAh battery that we’ve come to see across all Redmi Note devices in the past. While the Redmi Note 5 Pro had Quick Charge 2.0 fast charging, the Redmi Note 6 Pro has Quick Charge 3.0, which is even faster. The connectivity options remain the same. It offers dual-SIM card slot with 4G VoLTE support. There is dual-band Wi-Fi ac/b/g/n, Bluetooth 5.0, A-GPS, GPS, infrared port, and a 3.5mm audio jack. The device uses microUSB port, in the era where everyone else is shifting to USB Type-C port. Also, there is still no dedicated microSD card slot. How Does the Xiaomi Redmi Note 6 Pro Compare Against Its Competitors? 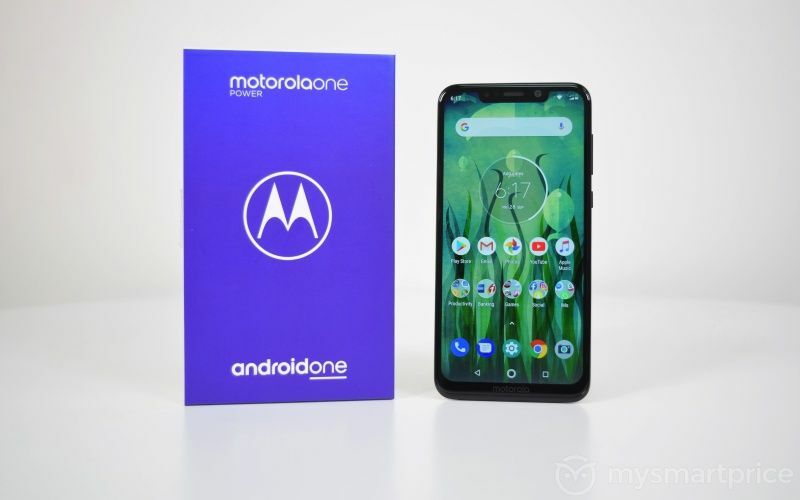 The Redmi Note 6 Pro goes head to head against the Motorola Moto One Power (Review), Realme 2 Pro, Asus Zenfone Max Pro M1 (Review), and the Nokia 6.1 Plus (Review). While the Redmi Note 6 Pro looks like a better package overall compared to the Zenfone Max Pro M1 and the Nokia 6.1 Plus, it will have a tough time to beat the Realme 2 Pro and the Motorola Moto One Power. Why? Because the Moto One Power has almost everything that the Redmi Note 6 Pro has, but it also comes with a massive 5000mAh battery, USB Type-C port, and 4K video recording. The Realme 2 Pro, on the other hand, beats the Redmi Note 6 Pro with its twice as powerful Snapdragon 660 processor, while having almost all the features of the Redmi Note 6 Pro except for its smaller 3500mAh battery. 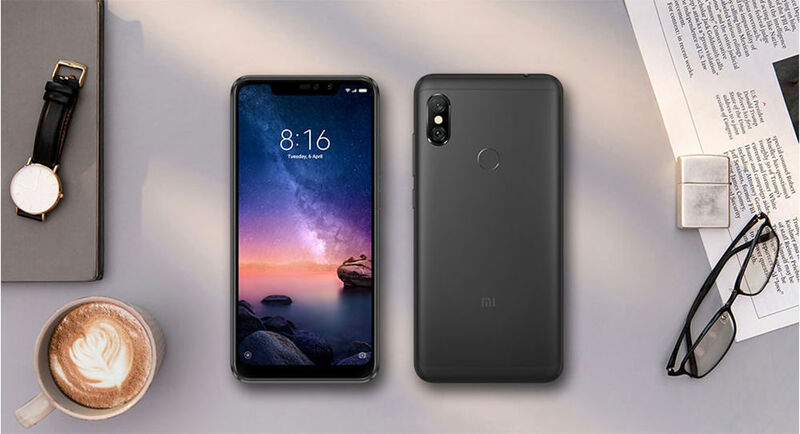 There was a time when smartphones from Xiaomi were way ahead of their competition, but that does not seem to be the case anymore. It looks like other brands are doing better than they used to. That or Xiaomi isn’t working hard enough. Either way, I think the Redmi Note 6 Pro isn’t the best smartphone in its price range. What is the RAM size of this phone 3GB or 4GB? We will get it in two variants, one is 4GB RAM and 64GB storage, and another one is 6GB RAM and 64GB storage. No, it doesn't come with earphones. No, it is not a Type-C port, it has a USB port.